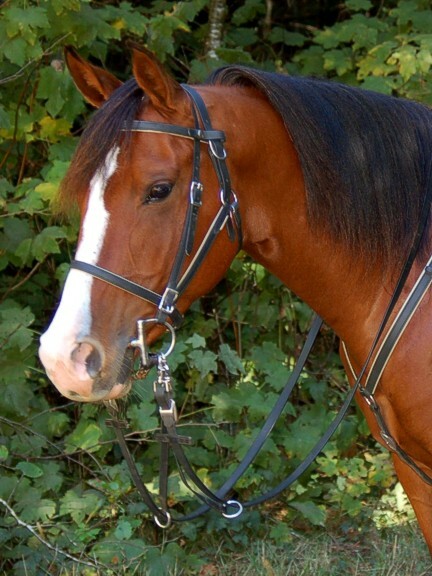 3 Halter your horse first and bridle as usual, (1 & 2). 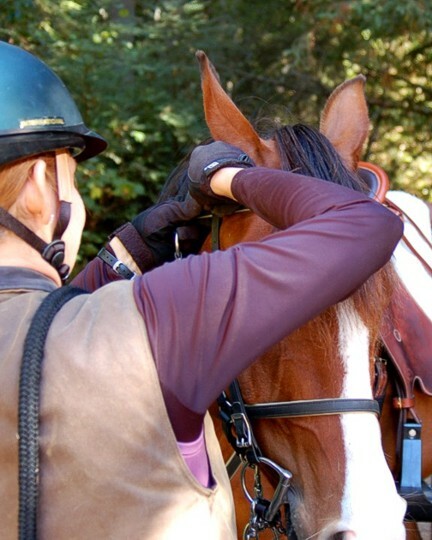 Snap the brow around the halter, (3, 4 & 5). 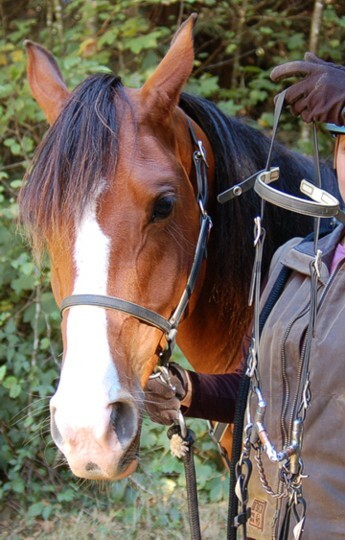 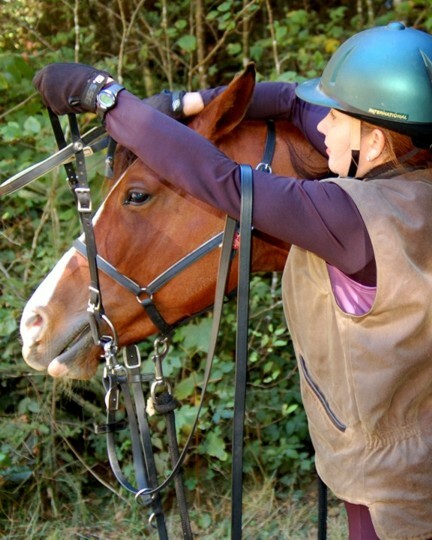 Top photo shows the horse tacked up with an Add-On Headstall in position. 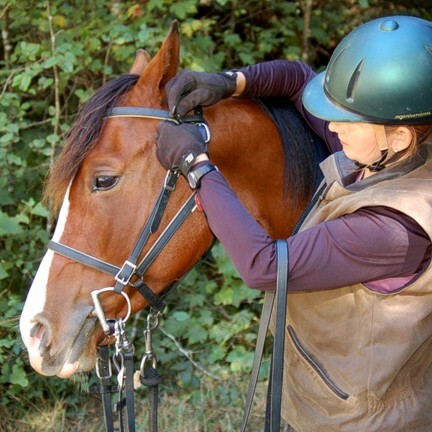 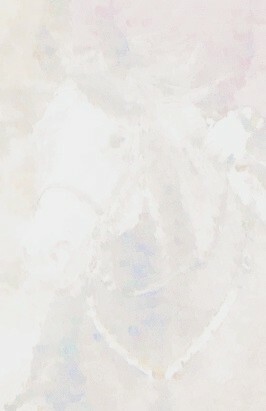 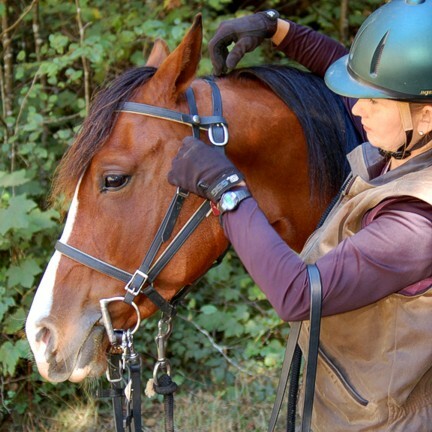 Reverse the order when removing the bridle.